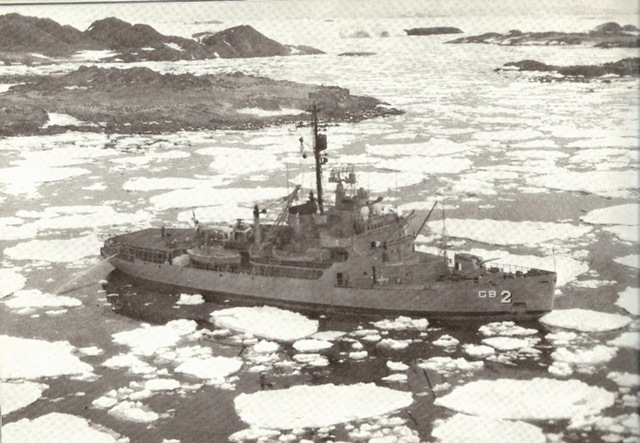 During the ensuing days and as weather permitted, small boats from the Edisto and Wyandot, plus an LH-34 Sikorsky helicopter attached to the Edisto, operated almost continuously moving cargo to shore. Edisto’s log shows that on the 21st of January she was escorting the Wyandot northward. I assume that offloading was a success, except for our missing furniture. 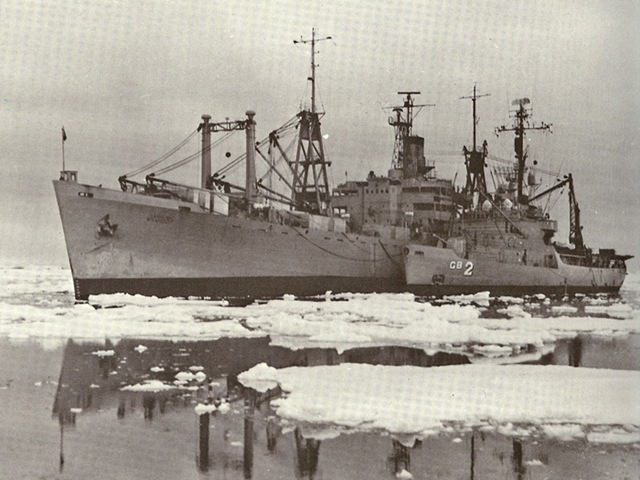 I am not sure where the Wyandot went next, but I have located an official US Navy photo identifying her at Hallett Station in 1964, over 2600 miles away. Quite possibly she had offloaded cargo at Hallett Station before arriving at Palmer and was heading back to the states. 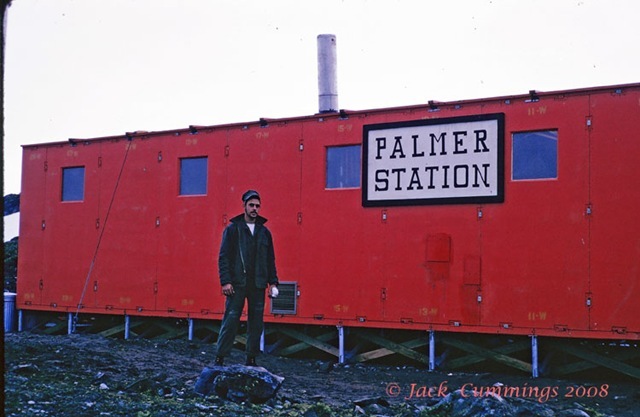 My first duty at Palmer was to set up a communications circuit on 2716kc, which was the low frequency ship to shore circuit used by ships in harbor areas. Apparently the British Station (Base F Argentine Island) 40 miles to the south knew we had arrived, as they were my first radio contact. 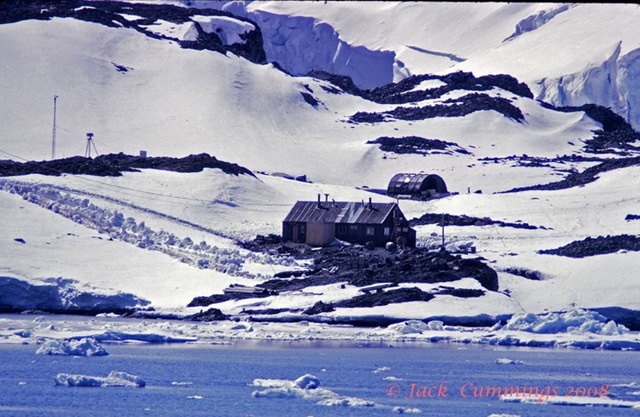 Station history for this base can be found at http://www.antarctida.kiev.ua/english and is currently operated by the Ukraine as Ukrainian Antarctic Station “Akademik Vernadsky”. Even though we were separated by only 40 miles, realistically we were a “world” apart. 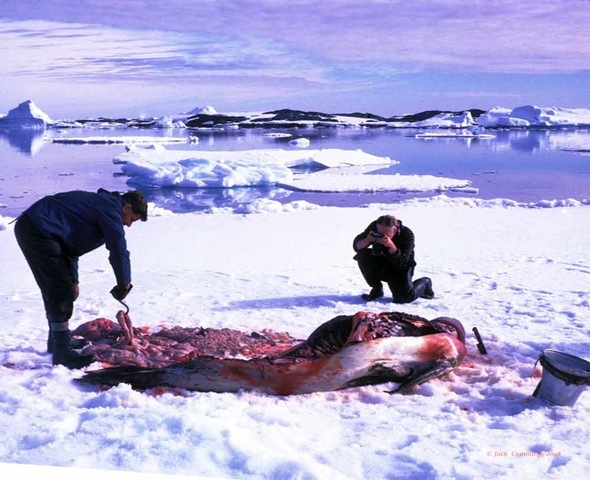 Our contacts throughout the year would be frequent, and prior to the close of the season we were able to somehow “trade” a case of butterfly steaks for a husky sled dog. Eddy made a great addition to our winter-over crew, and has been immortalized in our official station photographic roster. 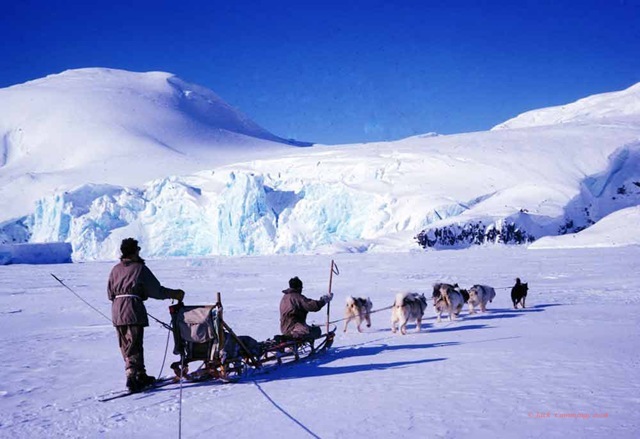 The British were still using sled dogs for field ops and were permitted to take seals for fresh food. 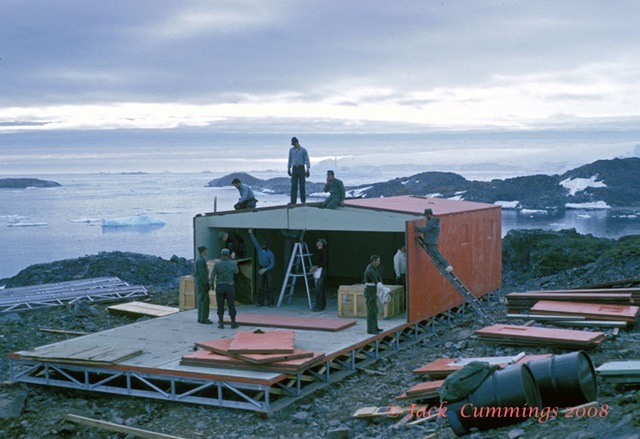 The attic of the British Hut had been determined as the logical location for my “radio shack” and the Industrial Manager District 14 representative (Indman14) and I busied ourselves with unpacking and installing equipment and antennas. One particularly exciting operation was installing the tower of our “Inverted V” antenna. 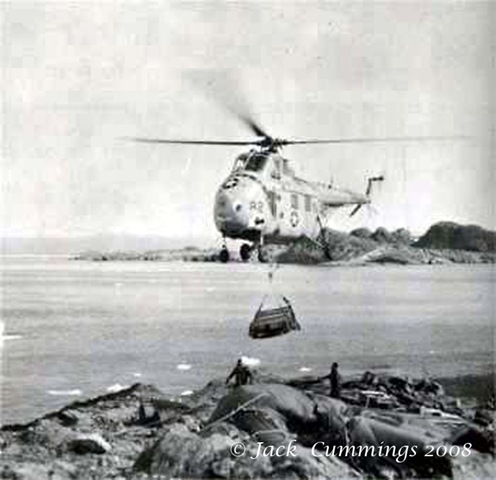 After the cement foundation had been prepared, the tower was flown in by the LH-34 Sikorsky, and it was my job to guide the bottom of the tower into place over the tie-down bolts. 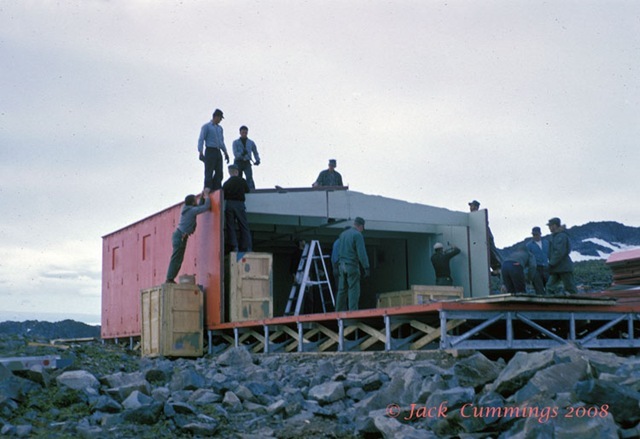 While the rest of the station was under construction, the CB’s from Mobile Construction Battalion 10 made modifications to the ground floor of the “Hut”. This main room would become the “bio-lab” for Jack Strong and Dave Lippert, once the multi-purpose building was complete. Since the British used coal for warmth and cooking, we were able to use the coal that was left in the “dust bin” until our power generators were brought on-line. Ironically, the dust bin was converted into a space for one of the three gas-electric generators that would be used to generate power for the station. In the evenings after work, we would sit around the main room playing cards and listening to some tapes of a Rhode Island radio station that I had brought with me. One luxury that the Brits had was a copper bathtub that had been left in place. Water for this tub came from a water tank that was heated by a manifold located in the firebox of the cook stove. This reminded me of my mother’s cook stove in the farm home where I grew up in Colorado. It preformed the same function. Thanks for your comment Gerry. When you folks flew one of the communications towers to it’s base, I was the one directly underneath guiding the base on the securing bolts – never can forget that experience. Glad you had a great reunion in 2012, I was unable to attend.